Our Michigan dangerous drug lawyers at Buckfire & Buckfire, P.C. handle cases involving patients who suffered injuries or were harmed after taking the prescription drug Fosamax. When a patient is injured, it can give rise to a lawsuit against the pharmaceutical company and the drug manufacturer. Often times, these drug lawsuits result in significant settlements. The side effects of this drug can cause serious injury and harm. 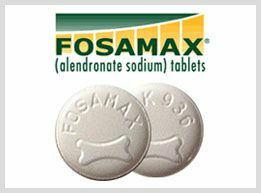 Fosamax (alendronate), a bisphosphonate, is a drug prescribed for the treatment of osteoporosis, particularly in post-menopausal women and complications from advanced cancers. However, even though it is known to be an effective drug in treating osteoporosis, in recent years there have been a number of studies that reported severe side effects that users have been affected by. In fact, The Journal of Bone and Mineral Research found that 94 percent of patients taking the drug Fosamax out of 310 cases experienced femur fractures. Femur fractures are not the only dangerous side effect recorded. The USC School of Dentistry also states that patients who take Fosamax are also at high risk for osteonecrosis (ONJ), a serious disease of the jaw that causes the jaw bone to deteriorate. Femur fractures and jaw bone decay are two of the most dangerous side effects of Fosamax. Symptoms such as difficulty or pain when swallowing, pain or burning under the ribs or in the back, severe heartburn, fever, body aches, and flu symptoms, as well as severe joint, bone, or muscle pain, are all important symptoms you should look out for when taking Fosamax. Due to recent reports, the FDA recently updated the warning label on the osteoporosis drug. Fosamax now contains a label that warns patients who take the prescribed medication are more at risk to suffer from abnormal fractures of the thigh, or femur fractures. Patients suffering injuries after taking Fosamax do have legal rights and may have a possible lawsuit against Merck, the manufacturer of the drug. In fact, due to Merck's failure to warn individuals of the defective nature of the drug, they may be held liable for those who suffer femur fractures or jaw bone decay. If you or a loved one suffers from femur fractures, jaw bone decay, or other serious injuries after or while taking Fosamax, there may be legal ground to pursue a Michigan Fosamax lawsuit. There are strict statute of limitations for filing a dangerous drug lawsuit. If you miss a deadline your case can be lost forever. Therefore, It is important to choose an attorney that has significant experience in representing patients injured or harmed by a dangerous drug. 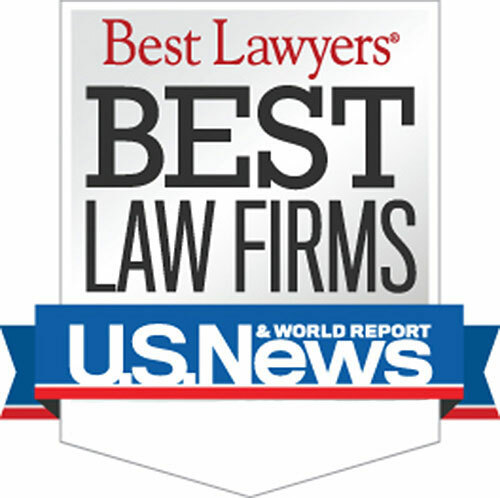 We work directly with other national law firms to win the best settlement for our clients. Who Is The Best Michigan Fosamax Lawyer? The Fosamax femur fracture attorneys at Buckfire & Buckfire, P.C. understand issues relating to all Fosamax side effects. This allows us to get the best settlements for our clients. It is important to have an attorney not afraid to fight for you when you have dealt with any Fosamax side effect. Our Michigan Fosamax drug lawyers have a detailed knowledge and understanding of these types of cases, injuries suffered and their treatment. This is essential to understanding to achieving the best possible settlement or jury verdict for our affected clients. We are currently accepting cases on behalf of patients who had femur fractures due to Fosamax. For more information about dangerous drug claims or to get help from Michigan's top rated Fosamax drug lawyers, call our law firm at (888) 797-8787. We will provide you with a free, no obligation case review and will represent you under our No-Fee Promise. This means there are no legal fees or costs whatsoever until we win or settle your case. There is absolutely nothing to lose. If your case is unsuccessful for any reason, you will not owe us anything. Warning: There are strict time deadlines for filing Michigan Fosamax lawsuits. Call us today to learn more about Michigan Fosamax laws.